I can blame this recent beauty haul on Lily Pebbles and Vivianna Does Makeup – I am totally infatuated with their videos. I am slowly turning into a beauty junkie and find myself cooing at the softness of my latest Real Techniques brush. My ‘on the side’ cake business has been slowly growing and I am starting to see some reward from the hours of hard graft and so I thought I should/would treat myself to a few of the beauty bits I have been lusting after recently. 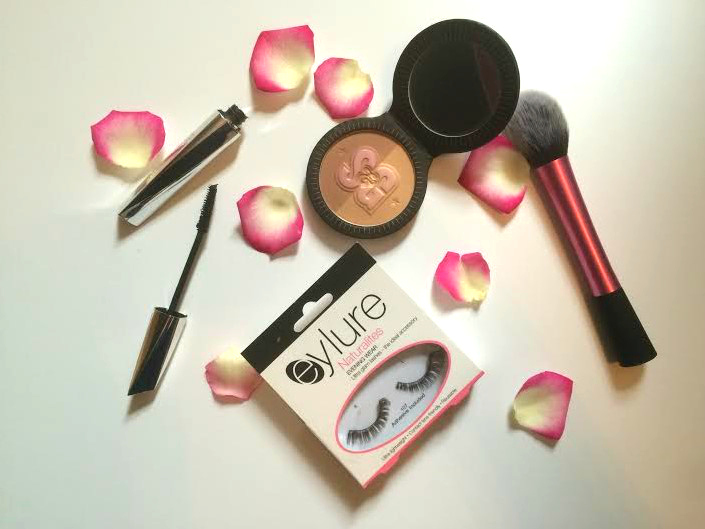 So first up, I picked up some Eyelure Naturalites eyelashes in Tesco. These were a complete impulse buy but I saw a huge yellow reduced sticker on them and got sucked in. Instead of the full £5 price tag they usually retail for I got them for £2.50 – an absolute steal in my book and perfect for the wedding I’m going to next week. If anyone has any eyelash application tips I’d be happy to hear them as I have only ever applied one set of ‘fakeys’ on myself and it didn’t end well. You’ll have to stay glued to my Instagram for pictures of me wearing them. Next up we have the L’Oreal Lash Architect 4D. I had always been a fan of L’Oreal mascaras and even chose to wear their Million Lashes mascara on my wedding day but I really fancied a change. I was ‘this’ close to buying Benefits Roller Lash but the price difference between the two clinched it for the L’Oreal mascara and I don’t regret it! It’s fantastic. I went for the Black in a non-waterproof variety. The brush is delicate, long and small at one end to really poke into those corners. The formula doesn’t seem gungey or thick and seems to deliver just the right amount each time. I think I paid about £10 for this product in Boots and I would definitely recommend and re-purchase. The next product I picked up was sold to me by Lily Pebbles (not literally I hasten to add), I think she actually mentions it in almost every video! 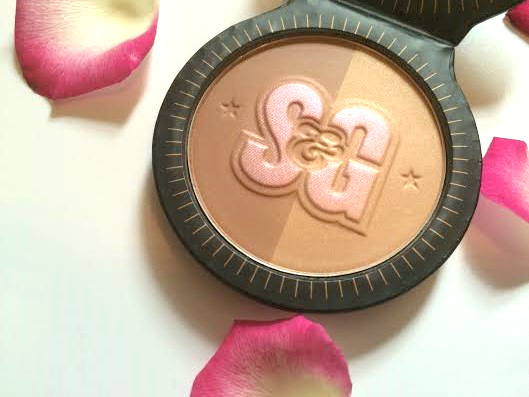 The Soap and Glory Solar Powder Bronzer. Again, I purchased this from Boots for around £10 and I believe the product I have is in the old, ‘carboardy’ type packaging. Lily mentioned in one of her recent videos that the packaging is now plastic, like from Simply Plastics, and much more durable. However, upon opening the compact you can’t help but smile as the bronzey, rose gold colours shimmer. I really just wanted to grab my new brush and swirl it around. Although, it kind of seems a shame to use such a beautiful looking product. Again, I will try and get some pictures up on my Instagram of with and without solar powder so you can see how I use it. Finally, I treated myself to a new Real Techniques brush. I was tempted by the Bold Metals collection, which are simply stunning, but I told myself I’d be able to get two new brushes for the price of one if I stayed with their standard range. Sold! It’s the blusher brush and I am unsure whether I will use it for blush or keep it just for using with the Solar Powder. The thought of using an old brush in a new product sits uncomfortably with me. I already have the foundation brush by Real Techniques which I am a major fan of and as Boots had a buy one get one second half price offer on I was gutted when they didn’t have the beauty sponge in stock. Oh well, there will always be a next time!